Medium: 35mm Black and White Film. What are some places you’ve hit? What is your tag and what made you choose it? How did you two decide to do this together and what’s the whole dynamic of being female in this culture? Coco: “But a lot of them have respect for us, they appreciate that as women we have the courage and the drive to take on dangerous places." How did you start Solow? I see you have a rosary around your neck, are you religious? Have any tattoos that signify your life as a writer? Fact about Spray Cans in stores: According to the American Coatings Association, lockup ordinances are a way to control vandalism. 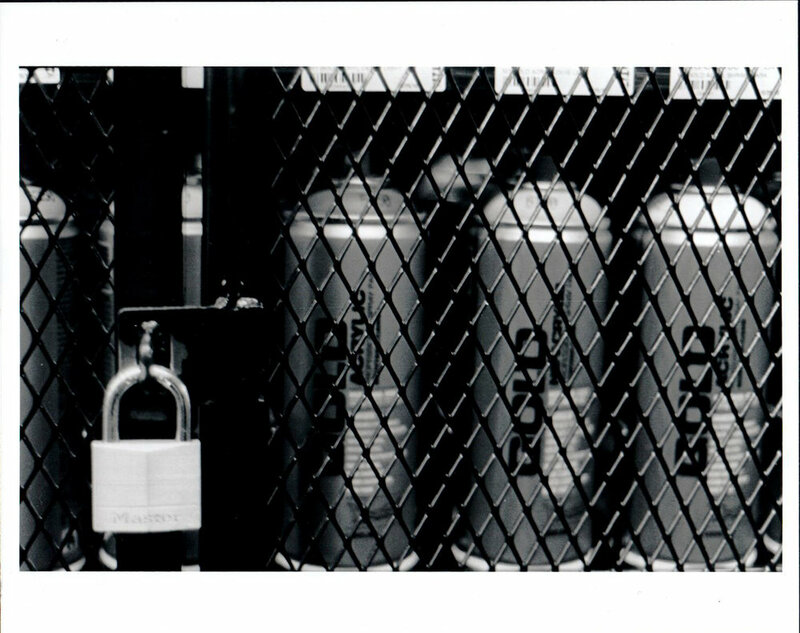 Under “lockup,” stores are required to keep spray paint in locked cases or cages, making it hard for customers to access without the assistance of an employee. By taking them off of regular shelves, the law makes it inconvenient and time consuming for the customer to buy the product therefore cutting down the sales. 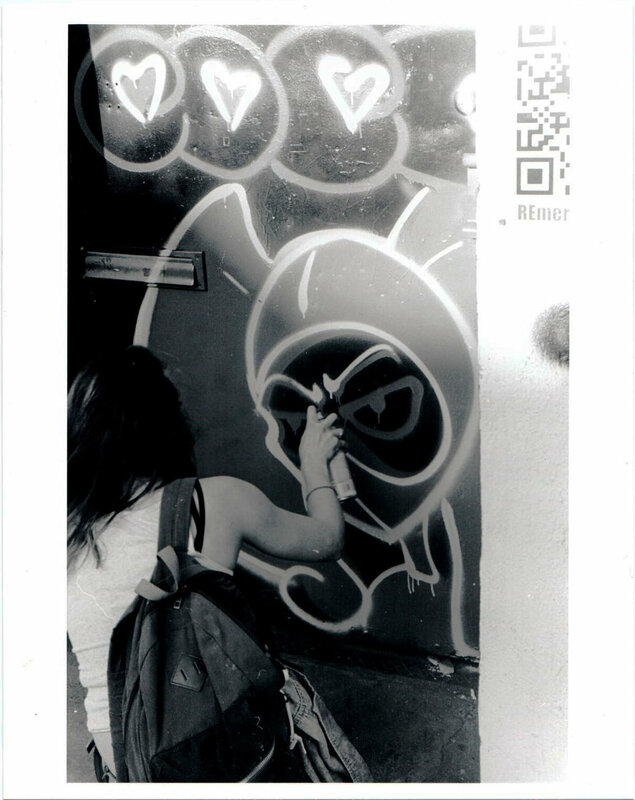 Graffiti-It’s a familiar term in New York City. It’s an addition to the culture that gives parts of the city a personality, which is hard to fathom without. I’m a passionate onlooker of this type of art that some people do not understand to really be art. It’s the epitome of defacing public spaces as a form of an artistic expression. My photo documentary will take you into the lives of these artists. Not the ones that get paid dollars to paint murals, but the ones that throw tags to get their name out there. These are real time vandals that call themselves writers. The one’s that risk their lives on a regular basis just so that they can express themselves. I hope for my audience to take away from this project the passion behind a “crime”. I’ve had the opportunity to interview about five artists who were open to talking about their lifestyles. However, It is usually hard for them to be open to revealing who they actually are because they know they cannot trust anybody as a result of constantly committing a crime. This has caused them to acquire two identities, one that they live by regularly or were born with and the other as per their tag name on the streets. The world knows them by their street name, but their loved ones and acquaintances know them as themselves. It’s hard to fully understand the idea behind wanting to intentionally deface public spaces. On being exposed to the culture, I’ve learnt why what they do is uncontrollably exciting. It’s about being youthful and creative. With your art you meet people who do the same thing and people who appreciate what you do. A rush of excitement is established when you gain that two second or thirty second of fame by someone awing at your work or even disgusted by it’s damage. People define their youth as a time of vigor and immaturity, a time where you can do things you will look back at and appreciate as a mark on the world. More than anything, they do not think what they are doing is in actuality a crime. It’s an art and art is not a crime, if anything art should be a substitute for violence. From this experience I’ve learned that writers are not vandals, writers are artists that live on the edge in sheer expression.